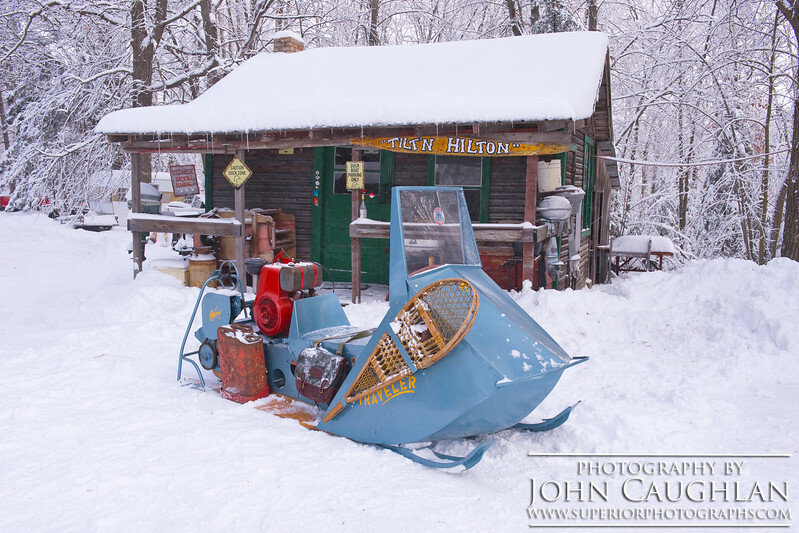 My art teacher from high school has a great collection of antique snowmobiles and for years I have wanted to photograph them, but I just couldn’t seem to get the right conditions. Finally on New Year’s day everything came together and I got my chance. These nostalgic images reminded me of simpler days when snowmobiles were built for function and utility. 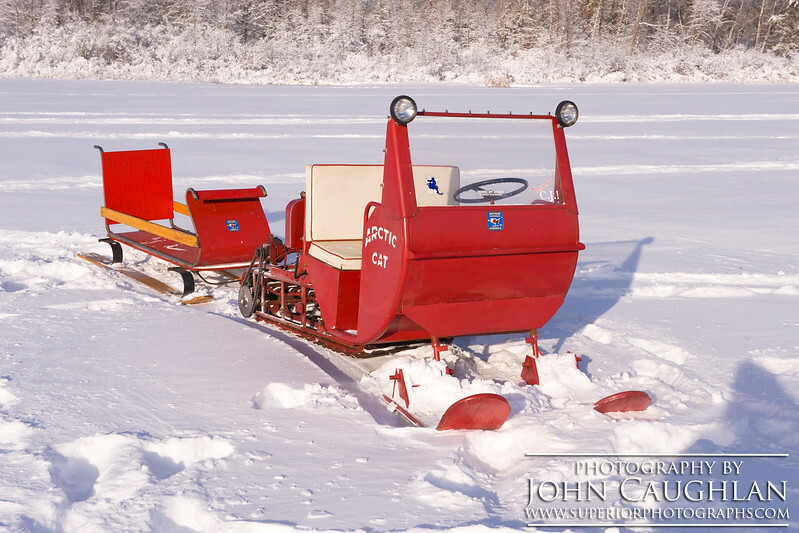 What a great looking Arctic Cat, they don't build them like this anymore. An old Polaris Snow Traveler. The snowshoes are in case your snowmobile breaks down and you have to walk home. 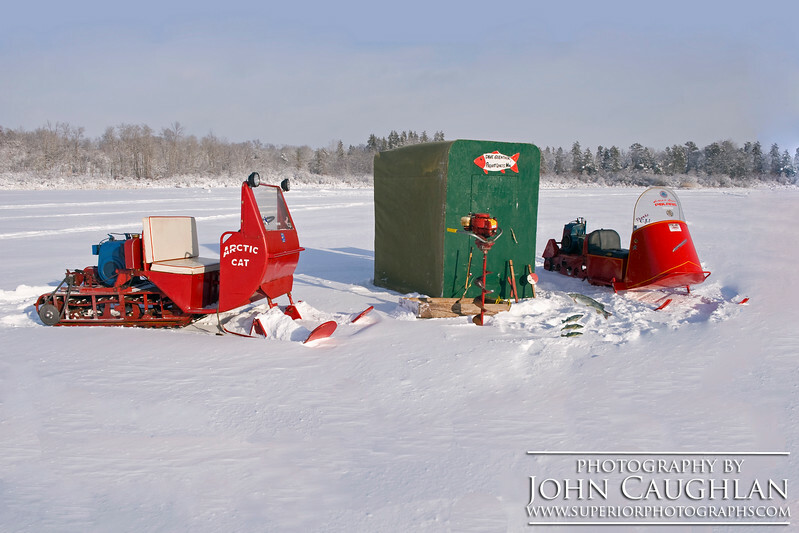 I wanted to recreate an old-time Minnesota ice fishing photos. 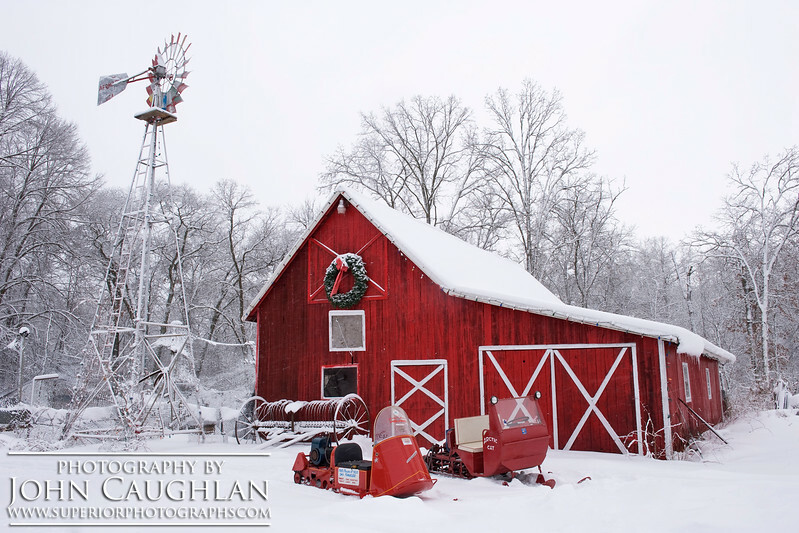 I remember scenes like this growing up in northern Minnesota. This is my friend Dave, owner of the vintage snowmobiles. 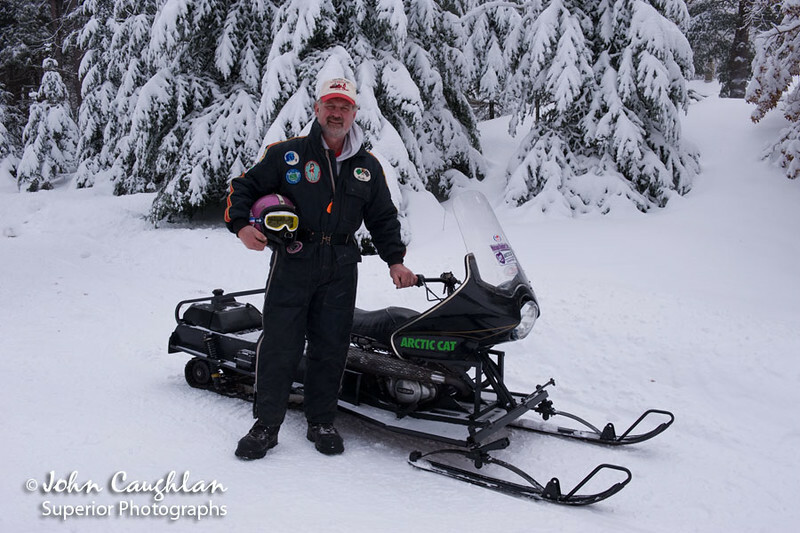 That is him with an Arctic Cat prototype snowmobile. A rare sled indeed. 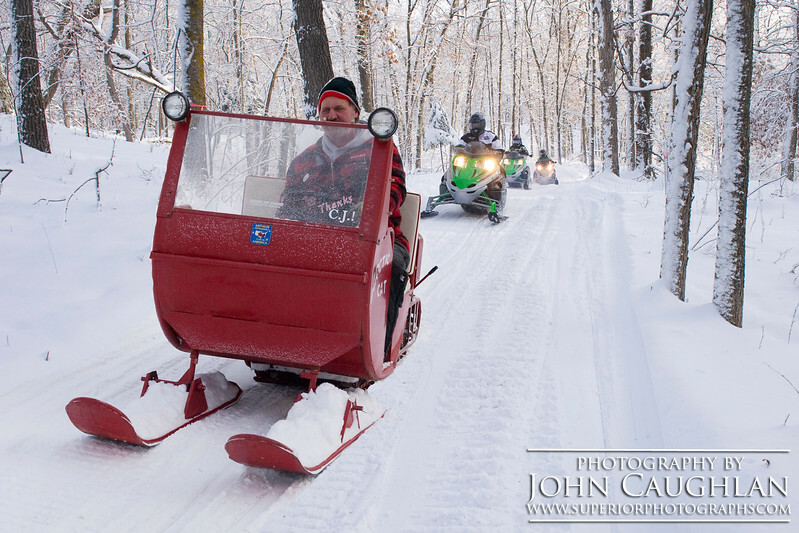 Dave taking his old Arctic Cat for a little ride in the woods.